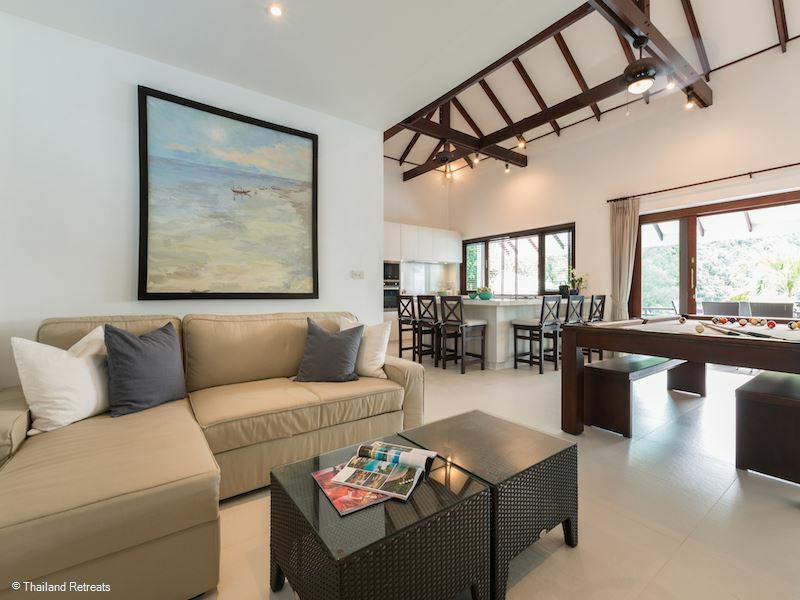 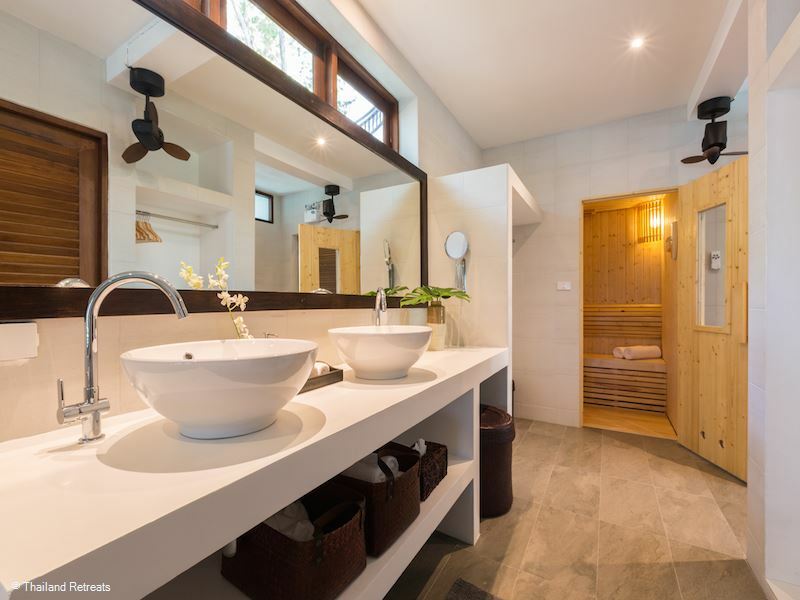 Secret Beach Villa is a stunning luxury Koh Phangan villa on the beautiful north west coast neighbouring Chaloklum Bay and overlooking the secluded and pristine sands of Haad Thong Lang beach and tropical views over to Koh Ma island. 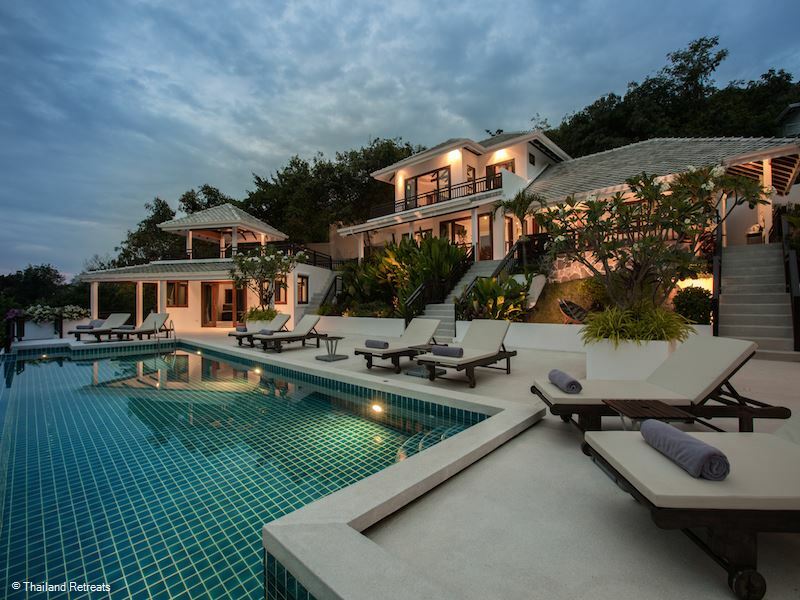 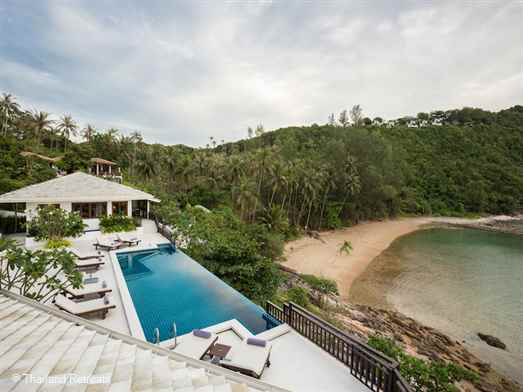 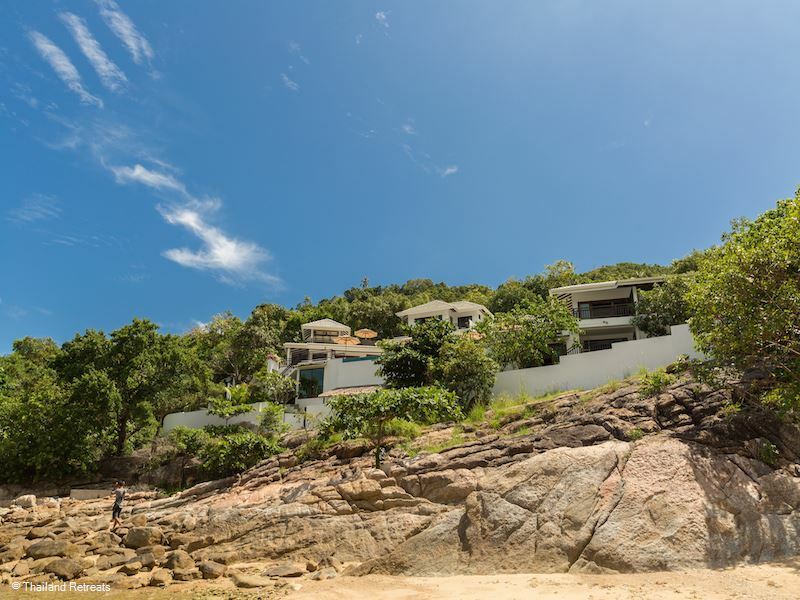 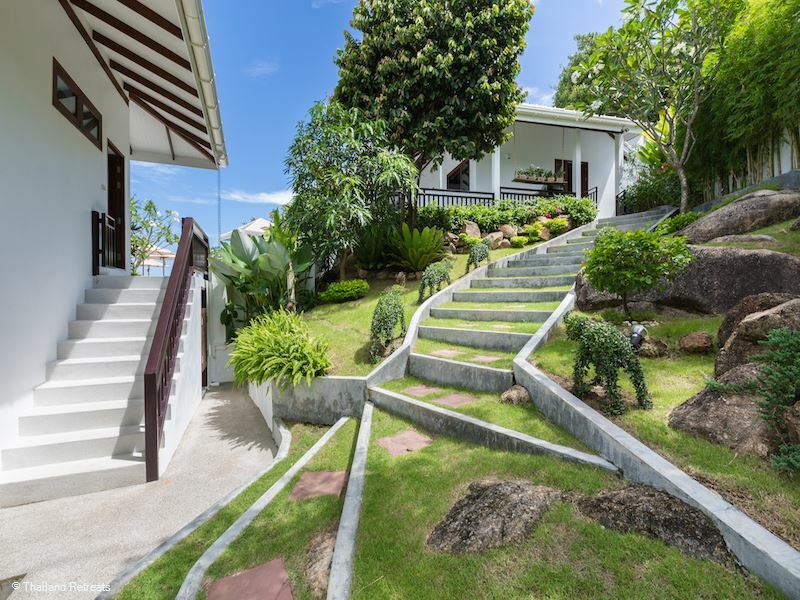 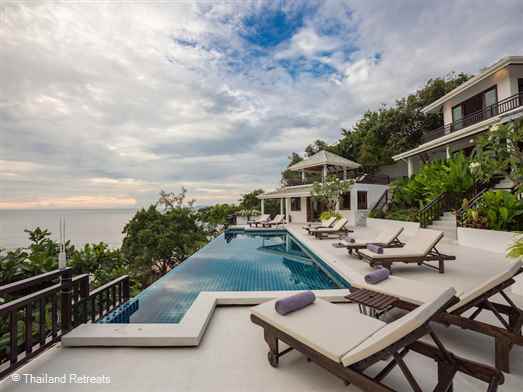 Secret Beach Villa overlooks the secluded and pristine Haad Thong Lang Beach. As there are no other properties built directly onto this bay, guests are afforded an essentially private beach which can be reached by taking a few steps down from the villa. 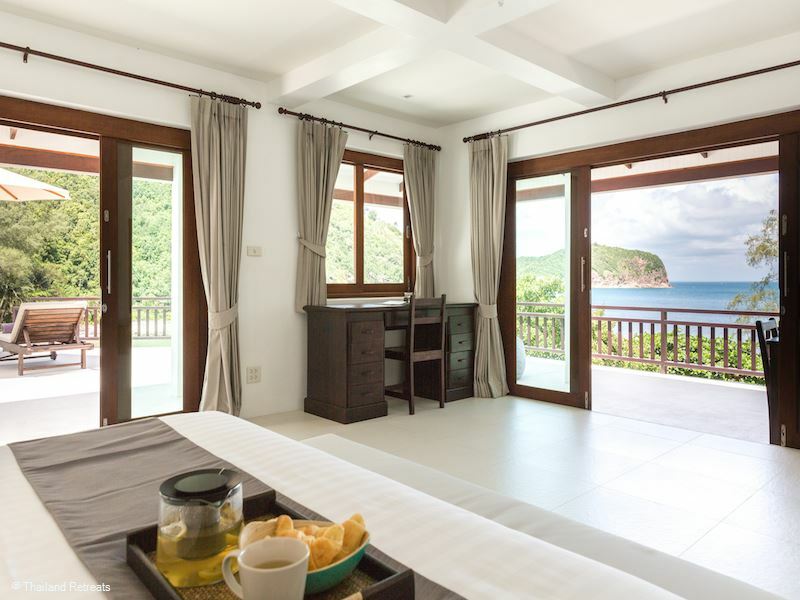 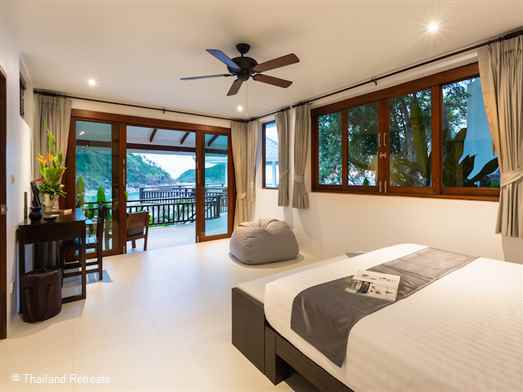 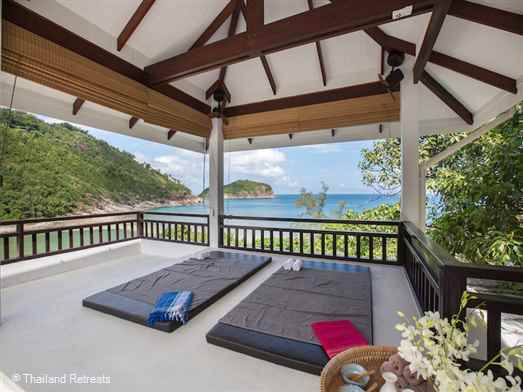 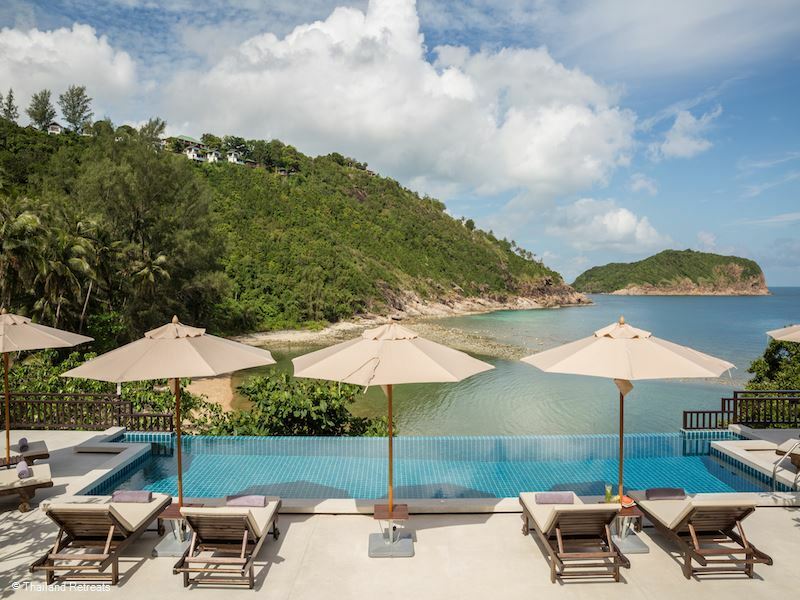 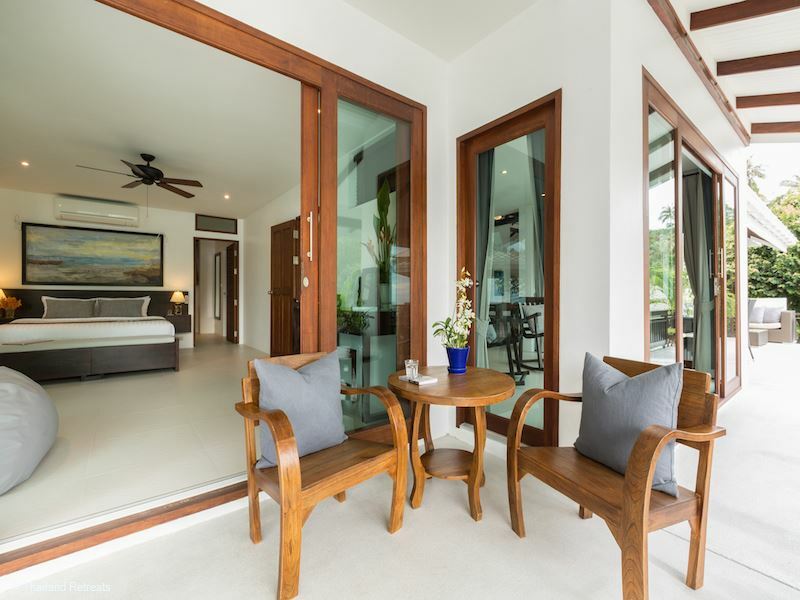 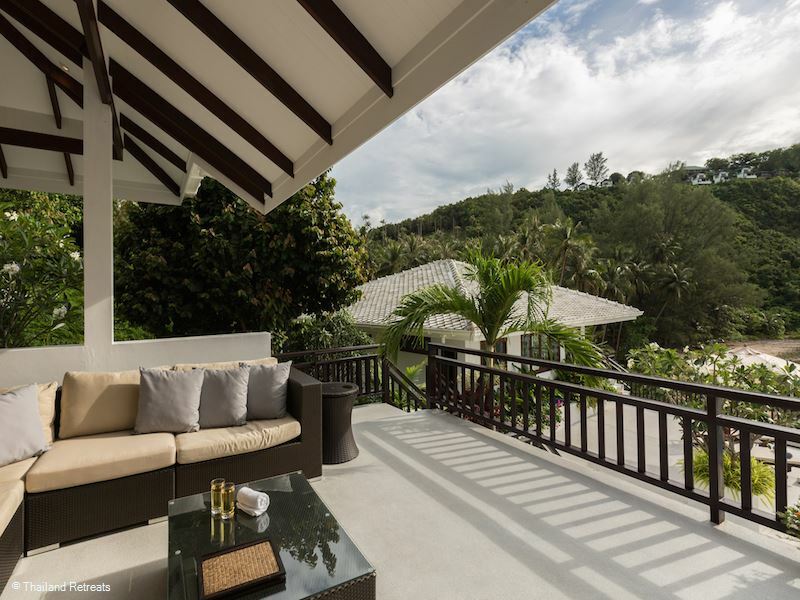 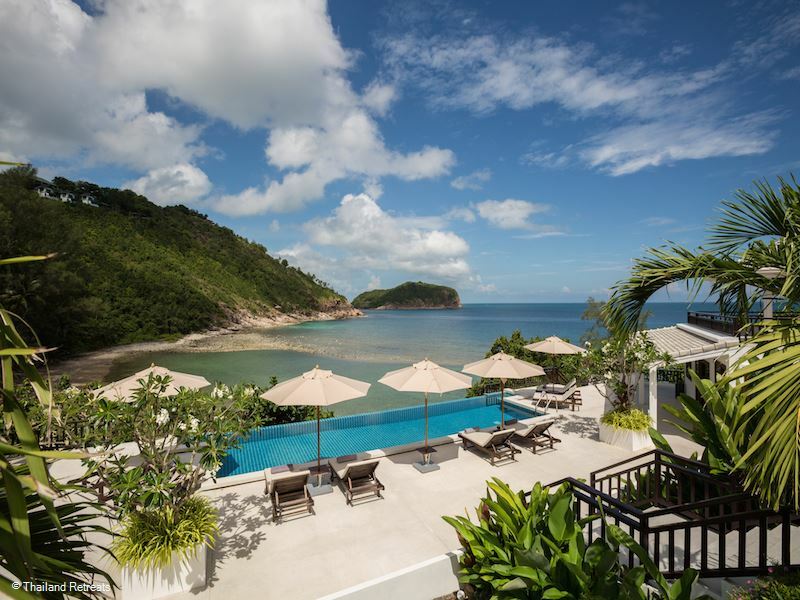 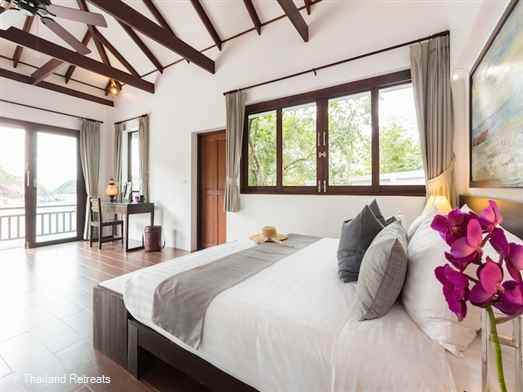 This rare location offers abundant sweeping tropical views over the beach, bay, and neighboring Ko Ma island. As the villa is separated over a few levels, ample unobstructed light streams through the large windows, of which there are many. 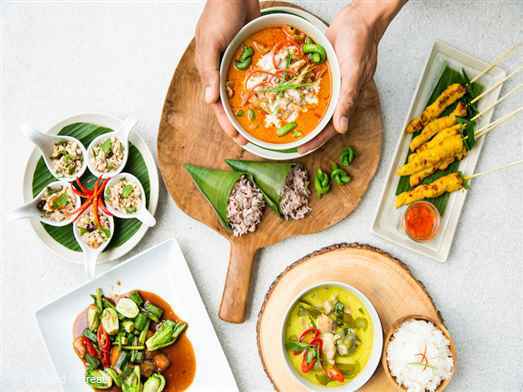 The interiors are clean and modern, including traditional Thai elements and wood to soften the overall look. 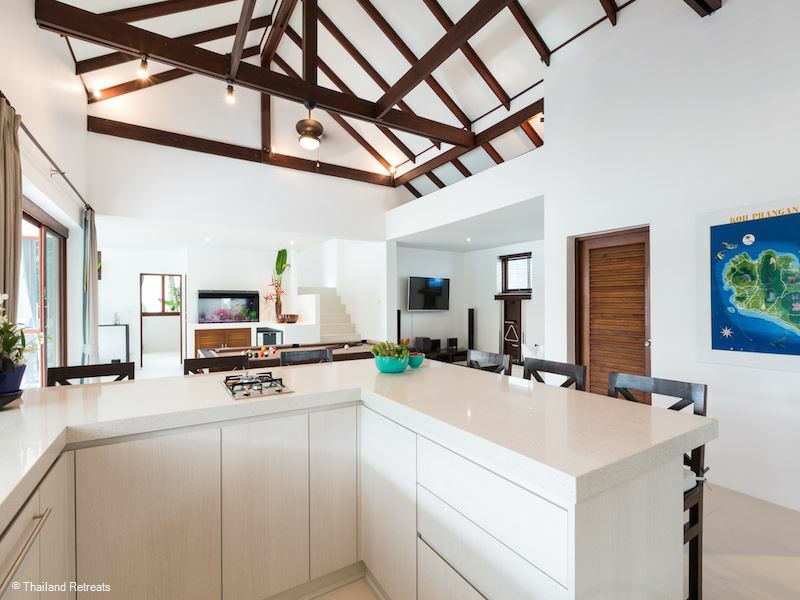 The main living and dining space has white walls and white vaulted ceilings, set against beautiful wooden trusses the result is a seamless blend of class and character. 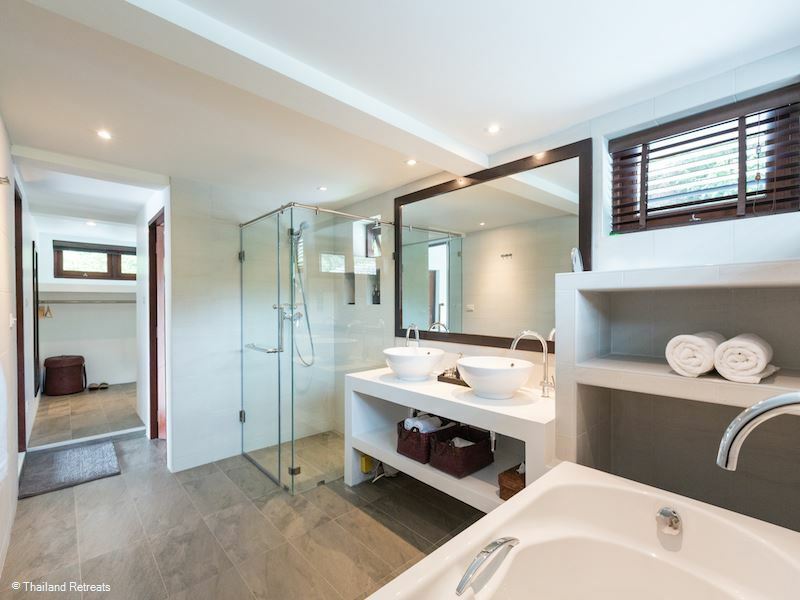 The Principal Villa has three rooms, the master suite can be found on the upper floor which has stunning 180 degree views across the bay and includes an en suite bathroom with double sinks, bath tub and separate shower. 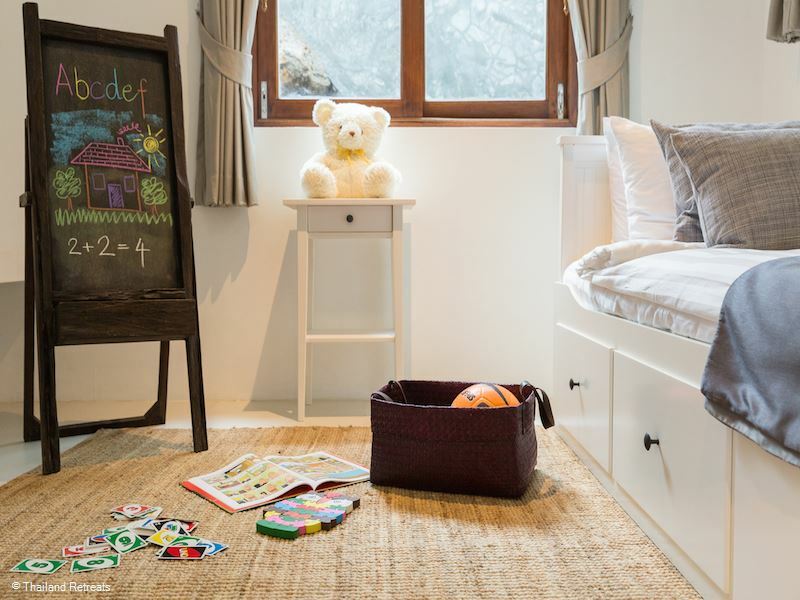 On the ground floor is the main living areas and family suite which has connecting bedrooms sharing one en suite bathroom so ideal for parents with young children. The main living areas include a fully fitted open plan western kitchen where the in-villa staff can prepare the delicious meals, dining room, large living room with TV game room, bar and pool table which can also be used as a dining table, huge terrace with outdoor dining and poolside sala which is perfect for massages which can be arranged by the villa staff. 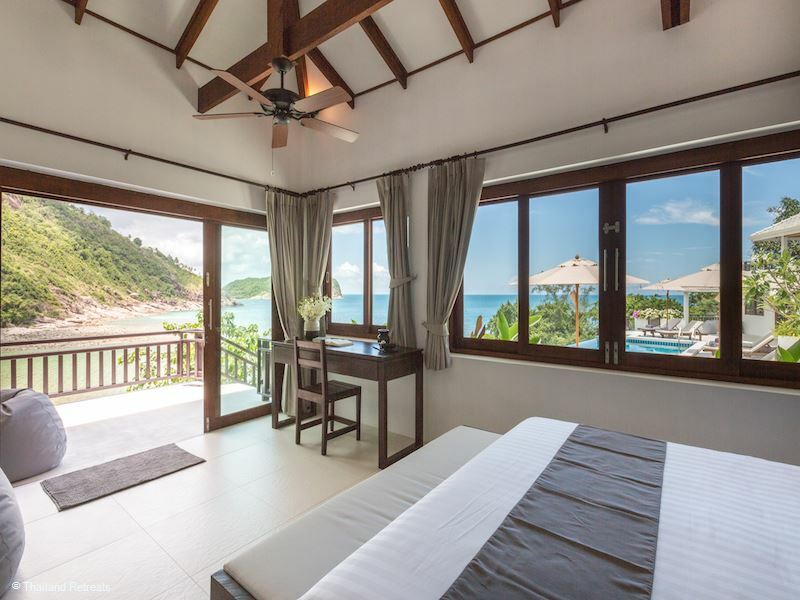 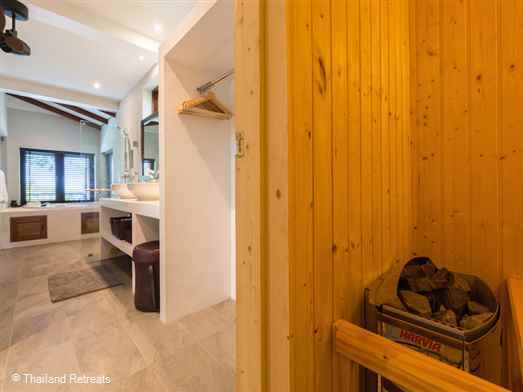 The Honeymoon Villa comes complete with a sauna, Jacuzzi bath, separate kitchenette and direct access to the pool, fitness and only a few steps down to the beach. 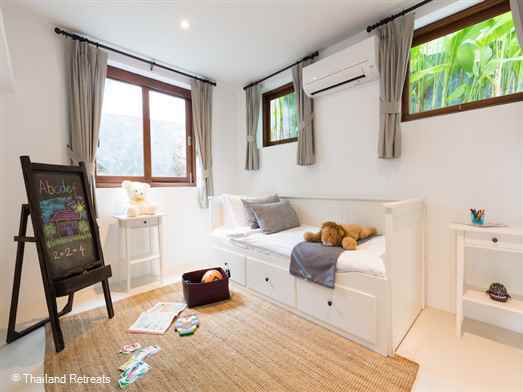 The Beach Villa a one-bed villa with a dressing room and a separate living room that can be transformed into a second bedroom for kids so ideal for either a couple or parents with two kids. It also has a separate kitchenette and is connected to a scenic outdoor terrace with table and chairs. 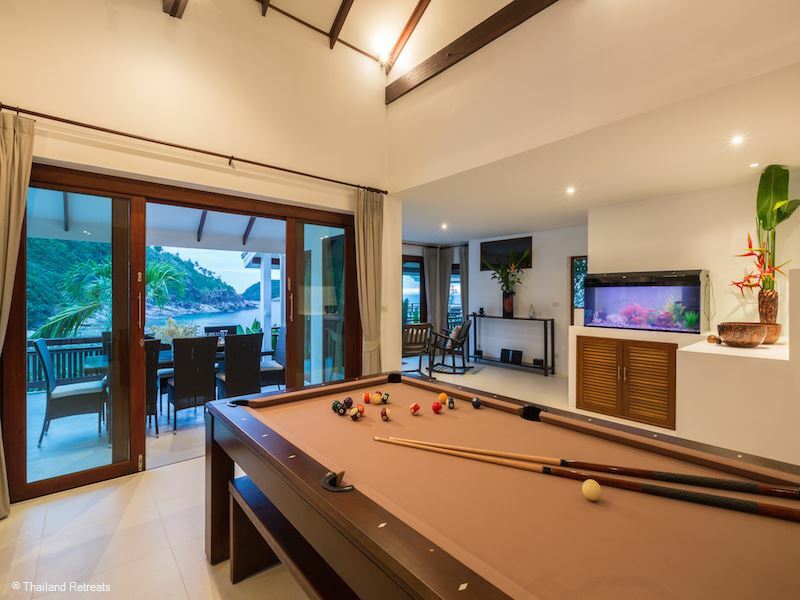 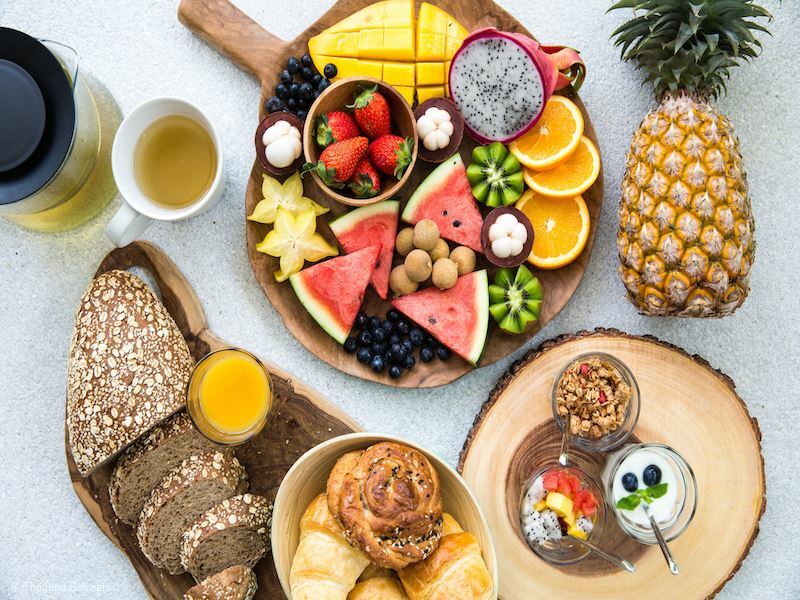 On those warm sunny days you might want to ask the staff to fire up the barbecue on the front deck and eat at the covered outdoor dining table. After you finish your meal, you can hop over to the adjacent comfy couch chill-out area. 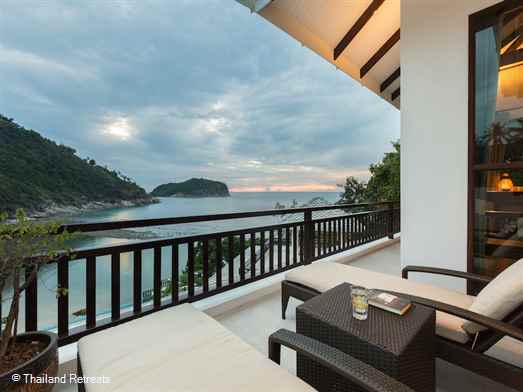 All of those aforementioned spots have stunning panoramic views of the sea and bay below. As the sun sets, don't forget to get the camera out as this villa offers some of the best sunset views on the island - the sun dips behind the horizon between the edge of the bay and the adjacent island, Koh Ma. 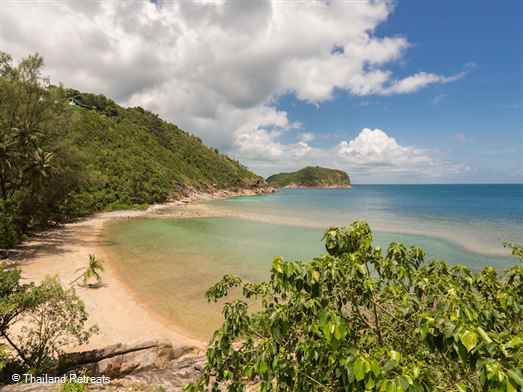 It's worth mentioning, too, that Koh Ma has fantastic snorkeling opportunities. If relaxation is what you're after, head out to the far side of the top deck where you'll find the open-air massage sala and relaxation zone overlooking the sea. 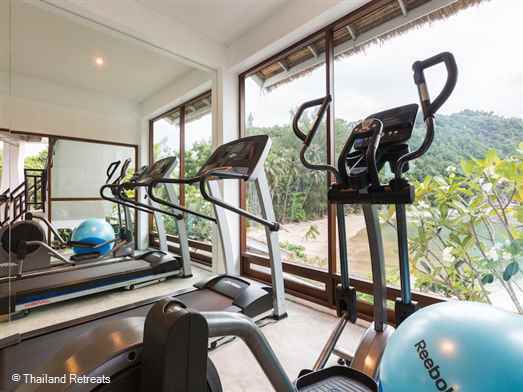 Here you can have a spa treatment, manicure, pedicure, or do some yoga, all of which can be arranged by the staff. 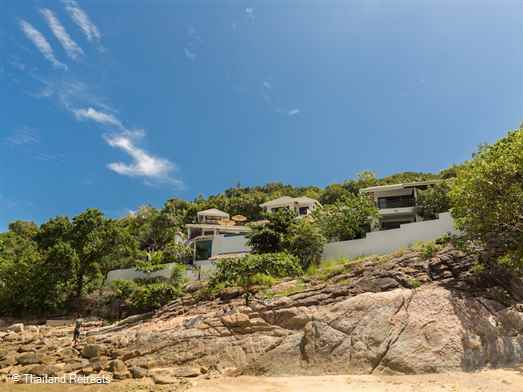 You can head down to Haad Thong Lang beach either via the front gate or the private entrance at the bottom of the house. Enclosed within a bay and with calm water, this beach is great for kids. 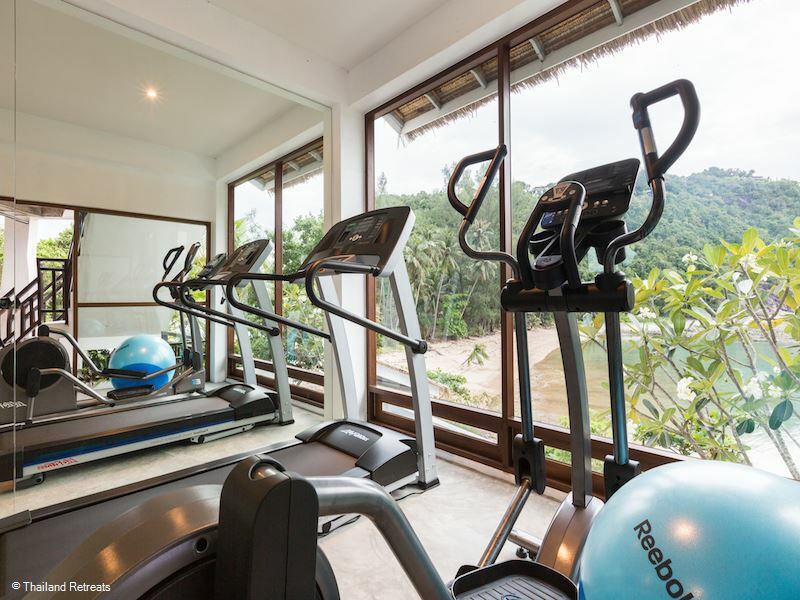 You can keep fit in the gym, which is located on the lower floor. This room, too, has floor-to- ceiling glass offering those beautiful views. 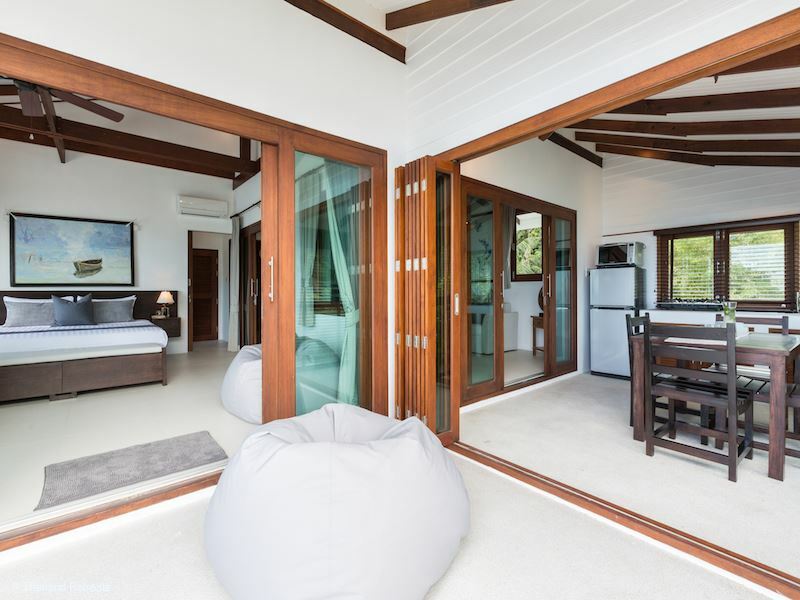 If you're after more of an adventure, head out to the beach via the private entrance where you'll find the villa's private kayaks. 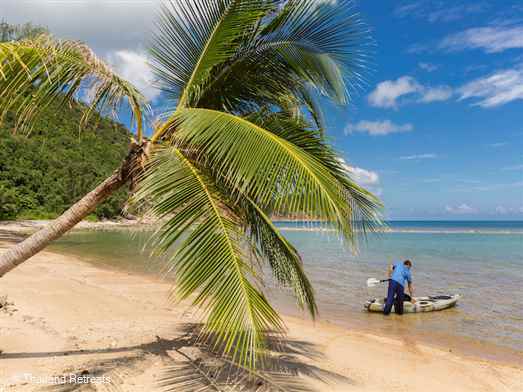 Simply push them out into the sea and paddle away. 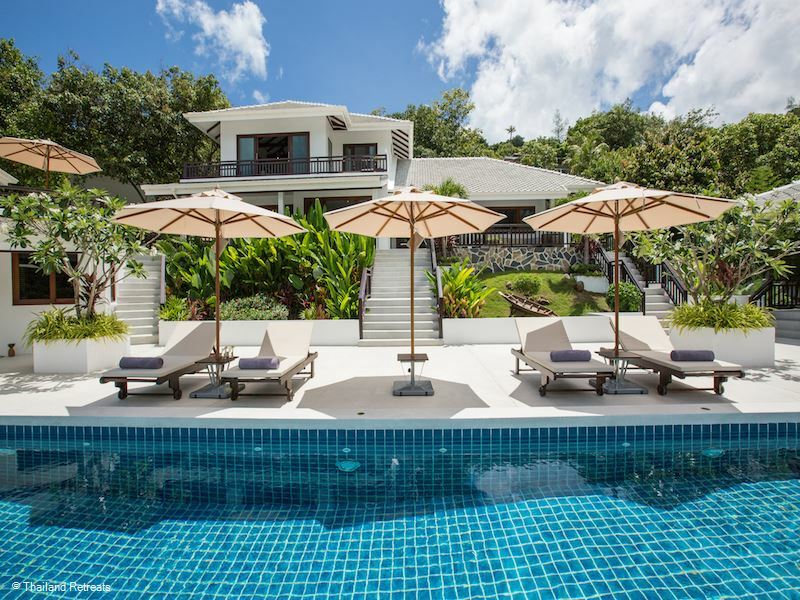 The villa staff live on site so you've always got somebody on hand to assist you. Within seven minutes from the house there's the small fishing village of Chaloklum with great restaurants and shops. 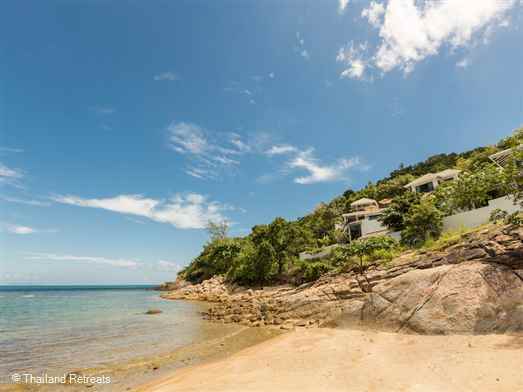 You can get European and Thai food, pick up fresh warm bread from the bakery and the village even has yet another beautiful beach. 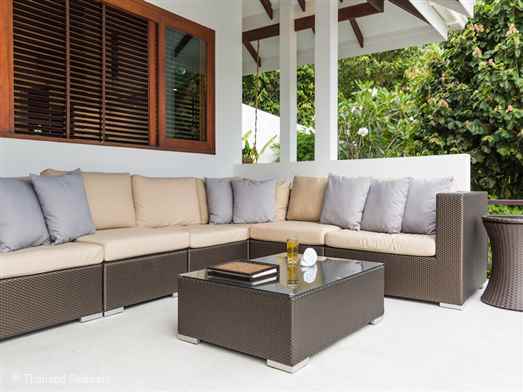 Secret Beach Villa is a brilliant family home as well as an ideal place for friends, reunions or entertaining.